Engineering education plays a key role in the progress of a country. Keeping this view the Government is taking various measures with the collaboration of other institutions to equip the youth with different technical skills at country level and it will certainly stable the investment and economy at large. It was expressed by the Chairman Pakistan Engineering Council Engr. Javed Saleem Qureshi as Chief Guest while addressing to faculty, administration, students and parents on the occasion of 22nd convocation at University of Engineering & Technology’s new auditorium hall. At the occasion Dr. Nizam ud Din Chairman HEC Punjab was there. The Chairman PEC Javed Saleem Qureshi said that to be in the ranking of developed countries it is essential to modernize the engineering education and other pedagogical techniques upto the mark then we will be able to grab domestic and global markets properly. He extended his words that our country is facing big crises and only technological strategies can overcome these issues effectively. And similarly institutes can be built on positive grounds when we engineer such a comprehensive and uninterrupted policies to face the upcoming challenges. He further said that UET is pride insignia of Pakistan only due to it transparent merit policy and standardize academic skills. So to make it more strengthen, it is compulsory to encourage all sorts of positive institutionalized approach and give opportunities to students for gaining a lot and demonstrate their talent. He said that PEC has started to issue the supervisory certificates without any fee for the time period of one year which will create almost 10 thousand jobs in market for engineers. 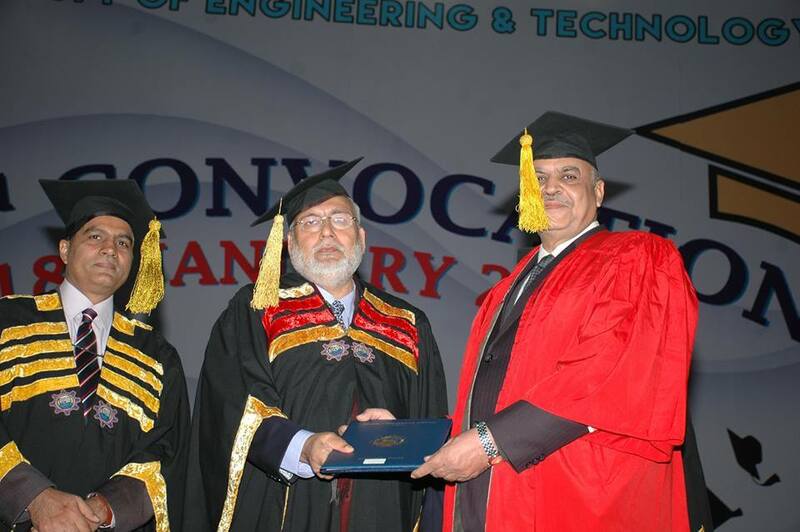 On the occasion, Vice Chancellor UET Lahore Prof. Dr. Fazal Ahmad Khalid said that UET graduates not only have shown their worth in the country but also in abroad as well. It is the top ranked varsity where national and international students are learning the skills of engineering simultaneously. And we hope that new engineers not only will follow the footprints of their seniors but also get big name for country positively and establish a modernized society with their thinking and actions. He also briefed the participants with significant statistics about the performance of UET in research, training, construction, expansion, development of curriculum, and different MoUs with various organizations for the betterment and progressive activities of the varsity. He explored that UET is bridging the concrete liaison between academia and industry resulting constructive change in the building of nation and helpful in reducing the ratio of unemployment. Vice-Chancellor congratulated the students, parents and teachers. 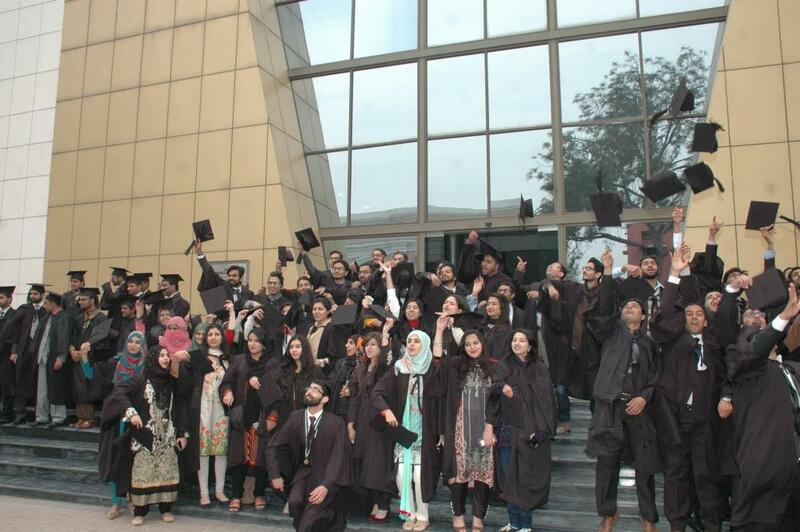 In convocation 13 PhDs, 53 MPhil, 187 & 44 MSc & MBA respectively, 1380 Bachelors were awarded with degrees & 58 medals. It is pertinent to mention here the first ever Iranian female Ms. Sharia Hussaini got degree of PhD in Architecture. Ms. Ayesha Liaqat from Chemical and Hafiz Ahmad Waqas from Civil got 6 Gold Medals each distinctively. 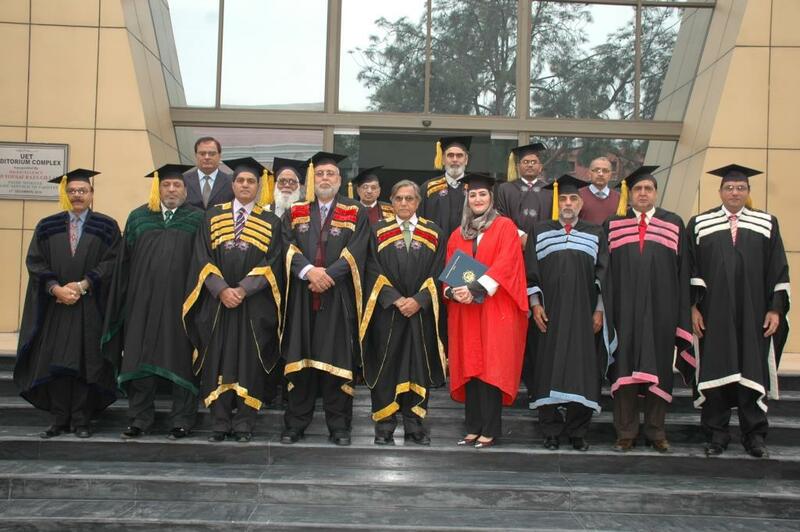 In this ceremony Deans of university including Dr. Abdul Sattar Shakir, Dr. Ghulam Abbas, Dr. Suhail Aftab, Dr. Shahid Rafique, Dr. Nadeem Feroze, Dr. Nadeem Mufti Registrar Muhammad Asif, Controller of Examination Nusrat Zargham and chairpersons of academic and administrative departments, alumni, prominent engineers and enormous students with the parents were present. At the end of convocation VC UET Prof Dr. Fazal Ahmad Khalid also presented souvenir shield to the Chairman PEC Javed Saleem Qureshi. 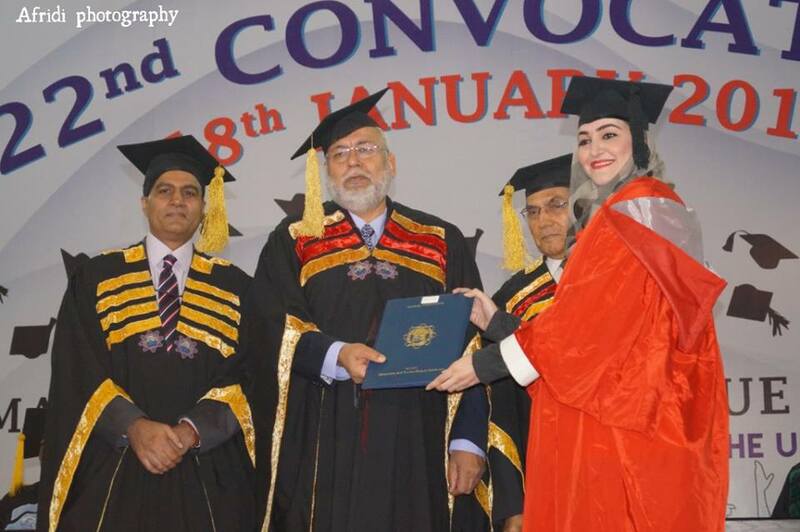 Students with degrees, their parents and teachers were with their pleasant faces in the ceremony. 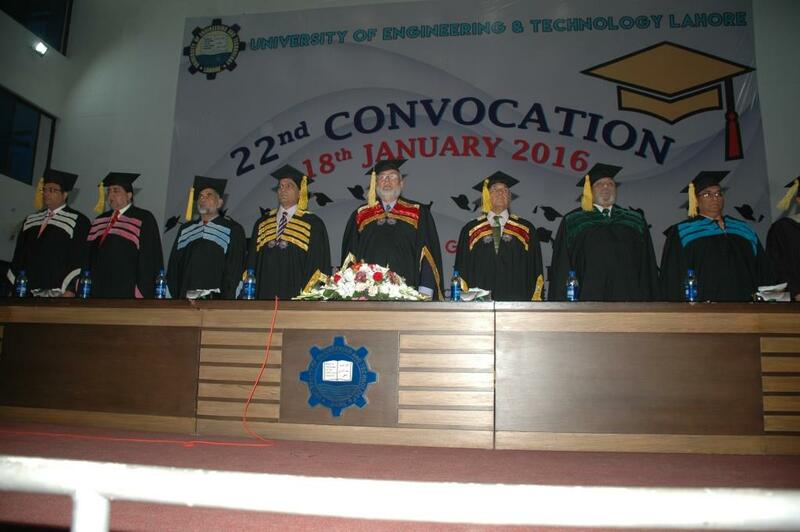 Caption: Chairman PEC Eng, Javed Saleem Qureshi ( in mid) , Chairman Higher Education Commission Punjab Dr Nizam Ud Din (left) , Vice Chancellor UET Prof. Dr. Fazal Ahmad Khalid (Right) are standing for national anthem at 22nd Convocation of UET Lahore. CNIC is compulsory for entry into UET premises. Attendance in the rehearsal scheduled on 17th January 2016 is compulsory. Entry in the convocation will be strictly by “PASS”. PASS will be issued to recipients cleared by Security Agencies from the concerned Departments immediately after the rehearsal. Degrees will be awarded to those recipients who have applied for the same in the Examination Branch. 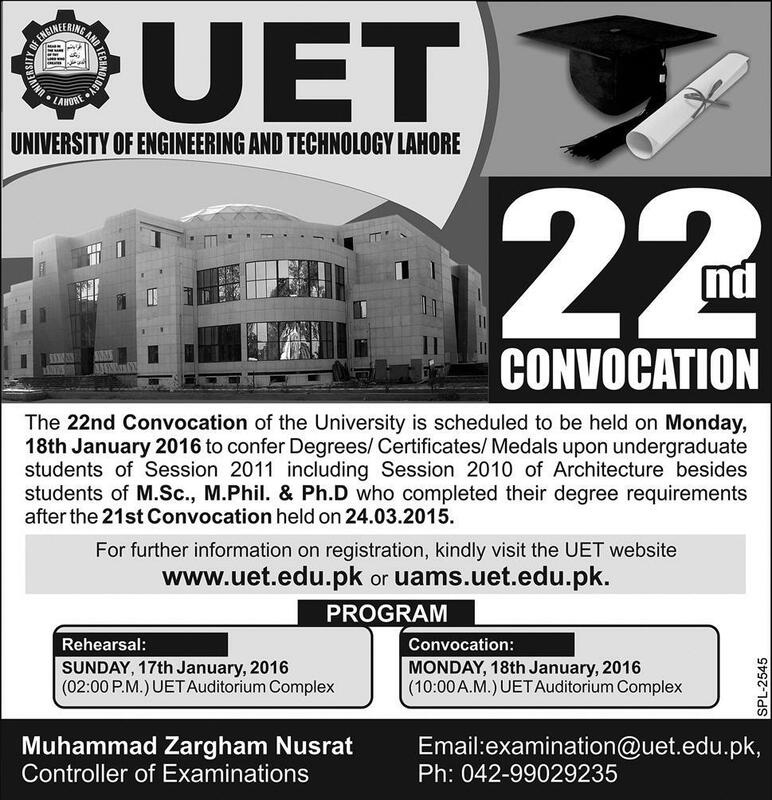 All eligible recipients, who wish to participate in the Convocation to fill in the registration form available on the UET and UAMS websites. January 2016. However, if they have already done so, they need not apply again. Lodging and Boarding arrangements will have to be made by the participants themselves. Wearing of Gowns at the Rehearsal and Convocation is compulsory. Gowns will be available on hire charges at stalls set up at the University on the rehearsal day. Students, with the exception of medal winners and Ph.D. scholars, who have already taken their degrees before convocation are not permitted to attend.